Vices—we all have 'em. While we're not going to judge you (it's not our style), we are prepared to help cut them out of your life, and, at the very least, counteract their negative effects on your skin. The facts are real: Smoking causes cells to be starved of oxygen (because capillaries are dying and closing off) resulting in dull, sallow, tired-looking skin with an absence of a glow. Alcohol causes puffiness and redness in unfavorable places. Free radical damage from a poor diet can cause the collagen and elastin in our skin to decrease, leading it to become rigid and less effective—thus causing wrinkles, uneven leathery texture in the skin, and breakouts. And that's not to mention the damage each one does to your health (outside of your face). So let's work together, shall we? Naturally, you should break these habits for good, but it's hard, and no one's perfect. Instead, we asked skin guru and celebrity esthetician Renée Rouleau to help us move forward on the best possible foot. Below, Rouleau explains the best steps in order to take care of skin, even on days when you didn't quite take the best care of your body. Keep reading to find out what they are. "Collagen-destroying enzymes (MMPs) ramp up when exposed to tobacco smoke, dramatically increasing how quickly the skin will show visible aging," explains Rouleau. "Tobacco smoke contains over 4000 chemicals. At least 50 are known to cause cancer, including formaldehyde, carbon monoxide, hydrogen cyanide, and benzene." She continues: "Heavy smokers are nearly five times more likely to be wrinkled than non-smokers. Lipid peroxide (released in cigarette smoke) is the main free radical that destroys skin’s barrier, resulting in dry, parched skin. On top of that, fibroblasts (collagen-making dermal cells) produce 40% less collagen when exposed to tobacco smoke—the eye area is most affected. Vitamin C also decreases in the skin and body when it's exposed to cigarette smoke. Step 1: Use products that contain vasodilators to stimulate blood flow. Products with ingredients like ginseng, peppermint, and rosemary are all beneficial for boosting circulation to get your skin glowing. 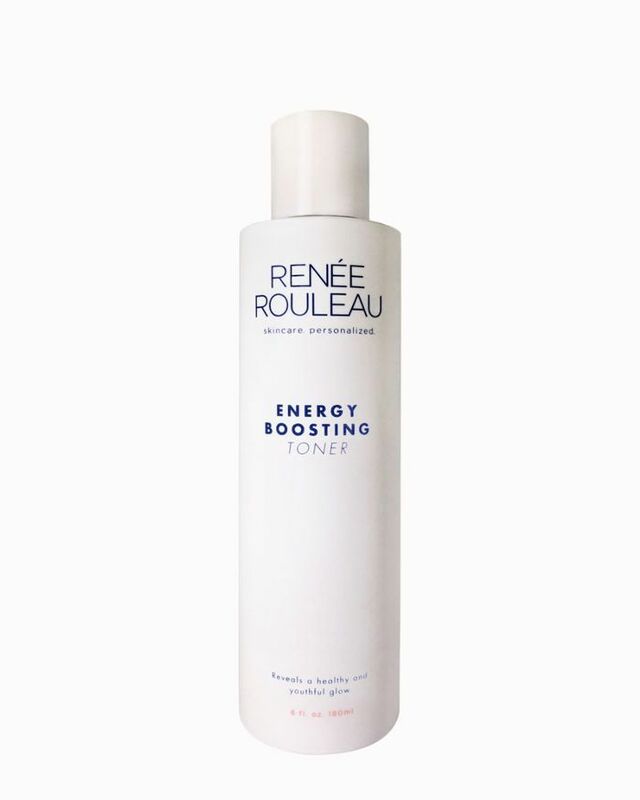 Energy Boosting Toner ($34) is loaded with ginseng extract to provide oxygenation and stimulation to tired skin. Always use it after cleansing and leave damp on the skin before applying moisturizer to seal in the skin-glowing properties, as well as hydrate the skin by plumping up thirsty skin cells. Step 2: "Hang your head upside down for three minutes per day," suggests Rouleau. "You can do this up against a wall, over the side of your bed, or in the Downward Dog position. Notice after three minutes a slight redness appears on the skin, and in the long run it can make a big difference in counteracting the blood flow–depleting side effects of smoking." Step 3: "There is no quicker way to brighten up (and smooth!) the skin and get your glow going than by using a facial scrub," says Rouleau. When massaged over the skin in circular motions, the scrub effectively lifts off dry skin cells to reveal fresh, plump, new skin. Step 4: Replenish your skin’s antioxidant supply and stimulate collagen while you sleep. "Since smoking slows down the internal repair processes within your skin, explains Rouleau, "it's essential to use products to help with repair. Peptides are a powerful ingredient that when used regularly will help negate the effects of smoking by encouraging collagen formation." She instructs, "Look for products with peptides like caprooyl tetrapeptide, palmitoyl tripeptide-38, and matrixyl 300. In addition, load up your skin with potent antioxidants to replace essential vitamins lost to smoking, as well as help keep your skin moist and supple." Step 5: Eat antioxidant-rich foods. Rouleau's recommendation: "Citrus fruits (lemons, limes, oranges, and grapefruits) are all are loaded with vitamin C. Carrots supply our bodies with good protection against aging. Sweet potatoes—a nutritional all-star—are loaded with vitamin C, potassium, fiber, and carotenoids. These antioxidants help fight the free radicals of aging." What’s the #1 reason people go to sleep without washing their faces? Exhaustion. "I certainly understand the discipline and effort it requires to perform a nighttime skin care routine, especially when you’re tired and feeling unmotivated," says Rouleau. "However, I’m here tell you that if you want your skin to perform at its best, you really must do it." Step 1: "Planning is everything, so pull out your nighttime skincare products and have them set up on your counter next to your sink, ready to go. Maybe even add a sticky note on your mirror for some self-encouragement," recommends Rouleau. 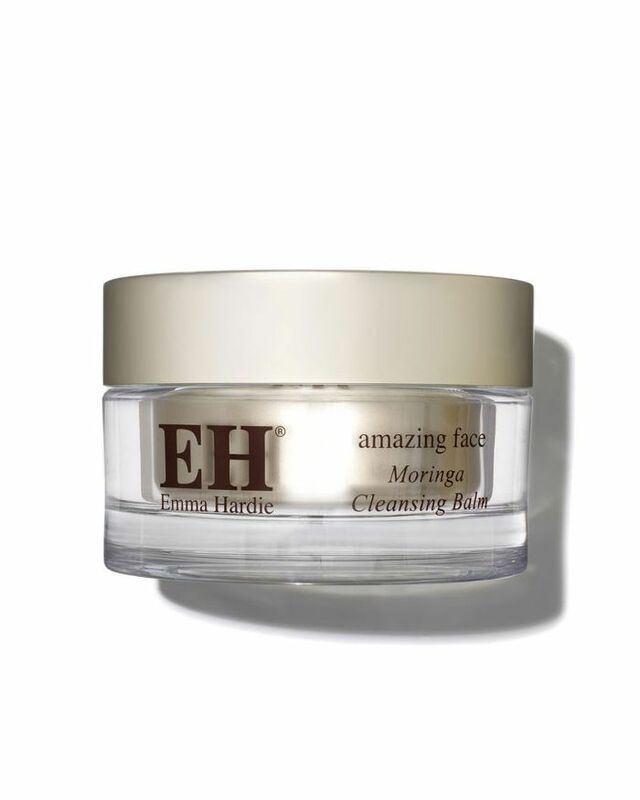 We're particularly obsessed with the way Emma Hardie's Moringa Cleansing Balm ($60) seamlessly melts makeup upon contact. Step 2: While it will never take the place of a proper cleanse, use a cleansing wipe but be sure to rinse your skin with water afterward. Note: Cleansing wipes aren’t the greatest choice because they just smear dirt, bacteria, oil and makeup across your face. Essentially it is like applying cleanser to your face with soap and then not washing it off. "While the cleansing agents in wipes are designed to break down debris, it’s the rinsing action from water that actually removes it," says Rouleau. "Wipe, rinse, and go to sleep—easy breezy." Step 3: If you got too lazy to wash your face at night, applying a detox mask in the morning can help deep clean the pores to prevent any dirty skin–induced breakouts. Make sure it has the ability to get into the pores and provide anti-bacterial benefits. In excess, it depletes water and antioxidants out of the skin and also increases blood flow and dilates blood vessels, causing redness and puffiness. Step 1: Splash your face with cold water to reduce redness and puffiness. Fill your bathroom sink with cold water and toss in 15 ice cubes. Pour one-third of a cup of natural, alcohol-free witch hazel into the water and dunk! Go in and out about 10 times. Why? Rouleau explains: "Cold temperatures shrink capillaries and stimulate drainage while witch hazel has natural anti-inflammatory, puffiness-reducing properties." Step 2: "Use hydrating ingredients to put water back into your thirsty skin cells. Most people think they need to over-moisturize by layering on a heavy, greasy cream, but really the focus needs to be about putting water back in the skin, not oil, since alcohol depletes mostly the water. Hyaluronic acid, sodium hyaluronate, and sodium PCA are all great ingredients to drench thirsty skin cells and restore them to a healthier state. You can find these in serums, alcohol-free toners, gel masks, sheet masks, and moisturizers. Skin Drink ($41) is super hydrating and known for its soothing and healing benefits." Step 3: Drinking alcohol not only depletes water out of the skin and body, but essential vitamins too. Roulea says, "Rehydrate your body by drinking water all day and add fruits into your glass for a boost of antioxidants." Step 4: Use topical antioxidants. "Vitamin C and E treatments can help to visually repair alcohol damage from within. Vitamin C is also known to help with capillary repair, which is good since alcohol puts pressure on capillaries," says Rouleau. Try Skinceuticals CE Ferulic ($166). Step 5: Invest in a go-to skin treatment for the morning after a night out. 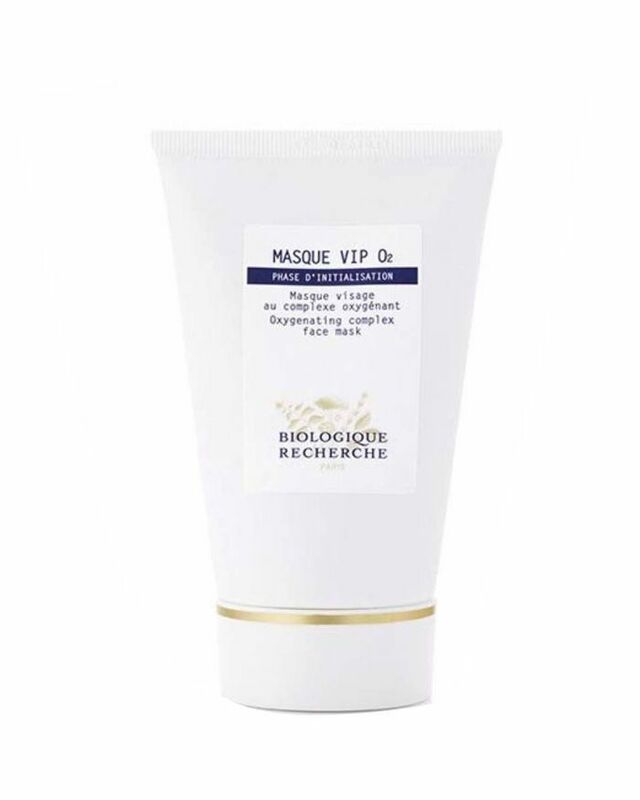 We love Biologique Recherche's Masque VIP 02 ($146). The inflammatory reaction to gluten in the gut could lead to severe small intestine damage, a location where acne is thought to originate. Evidence has shown that high-glycemic foods may be the trigger for inflammatory conditions, like acne," says Rouleau. Similarly, dairy can be problematic if you are prone to cystic breakouts in the chin and jawline area. "Since most dairy cows are given growth hormones, the consumption of milk, cheese, and yogurt become factors that influence endogenous hormones and mimic the hormones that trigger oil production in the skin to ignite the acne process," explains Rouleau. If you struggle with under facial and eye puffiness, eating foods high in sodium will encourage water retention under your eyes (resulting in excessive swelling of the eye tissue). Rouleau suggests, "It’s best to avoid salty foods especially at night and drink a lot of water to flush out your system." Step 1: Eat foods that contain antioxidants, such as avocados, berries, spinach, dark-skinned grapes, and cantaloupe. Antioxidants have the power to protect you from disease and slow the aging process, as they fight the free radicals in your body that can harm your cells. Step 2: Load up on vitamin C every single day. If you’re looking to improve the appearance of your skin and slow down aging from inside out, the best ones to eat to get your daily vitamin C are dark, leafy greens, broccoli, cantaloupe, kale, sweet potatoes, red peppers, strawberries, oranges, tomatoes, and grapefruit. Step 3: The best fish to eat is cold-water fish. Try to include sardines, tuna, mackerel, cod, herring, and trout in your diet whenever possible. All of these have the best essential fats for smoother, more moisturized skin, increased energy, and improved immunity. FYI: We forced our skincare-obsessed editor to reveal her top five products—get excited.